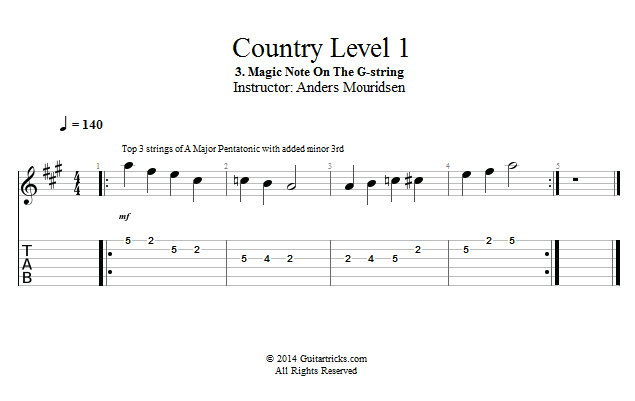 In this first lesson we'll look at a classic tension note that you can add to the basic major pentatonic pattern. If you've ever used this pattern for minor pentatonic, which you may have done if you've played a bit of rock or blues before this, you may recognize this note as the "blues note". But in this context of the major pentatonic it works a bit differently.